Edward Said - Who is Edward Said? Edward Said was born in 1935 in Jerusalem, Palestine. In the 1947 partition of Palestine, he and his family became refugees and moved to Cairo where they lived with relatives. He went to St. George's, an American school and then later to Victoria College. He was expelled from Victoria College in 1951 and his parents sent him to Mount Hermon Preparatory School in Massachusetts. His father was strict about discipline in both work and study. His hobbies as a young man were reading novels and listening to classical music. He learned to speak several languages and to play the piano. As a young man, he attended the Juilliard School of Music and became quite skilled at playing the piano. He graduated form Princeton University where he received his Masters Degree and then attended Harvard University where he received his Ph.D. His dissertation was on Joseph Conrad. He then took a position in Columbia University as a Professor of Comparative Literature. When the Arab-Israeli war broke out in 1967, he began to review his career in Comparative Literature. He began thinking of his own identity as a Palestinian. At this time his life changed and he began to get involved with his cultural origins. He became intensely involved in literary scholarship and Palestinian rights. He argued that intellectual romantics have distorted the West's view of the Middle East and Islamic world becoming largely responsible for the influential school of literary and cultural criticism known as “postcolonial studies” which influenced and revolutionized all fields of modern social sciences . He also believed that the contemporary American view of Arabs is conditioned by a hostile media. He had always championed the Palestinian cause. Amongst the contemporary spokespersons for the Palestinian cause in our days surely none became so well-known and was so articulate as him. Holder of an endowed chair in English and Comparative Literature at Columbia University as well as a former president of the USA Modern Language Association, a prolific author of books and articles both scholarly and popular (an indeed rare talent), a frequent lecturer and commentator on radio and television, a sometime diplomatic intermediary and congressional witness he was an urbane, brilliant man who could always be counted on to provide polished, sophisticated, unaccented, enlightened views on recent Middle East developments. He was once a member of the Palestine National Council from which he resigned in 1991 in protest against the Oslo agreements which he thought distorted the real path to peace. 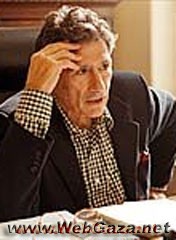 On 17 of July 2002 Edward Said helped to found the Palestinian National Initiative, or Mubadara, a recently established democratic opposition movement in the realm of Palestinian domestic politics, co-founded along with Dr. Mustafa Barghouthi, Dr. Haidar Abdel-Shafi, and Mr. Ibrahim Dakak. Also, along with the world renowned musician Daniel Barenboim, he co-founded the “East-West Diwan” project by which young Palestinian, and Israeli musicians along with young people from other Arab countries could share experiences. Amongst his last contributions, also with Daniel Barenboim, was a unique musical education program to be developed in the Palestine to teach, through a holistic approach, music and science in schools (initially to be developed in two schools in Ramallah - the Friends School and the U.N.R.W.A. Refugee School for Girls in the “Ramallah Refugee Camp”).